Love this race just need to get your head around 2 laps and seeing other people going into the finish of the 10 mile race. 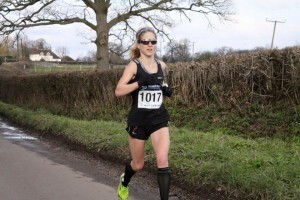 I was hoping to win the race again as with the previous year but seeing Bryony Proctor who is a few mins quicker on half marathon so expected her to lead the race. It took pressure off but still had to work hard in second and finish in a time of 2hrs 03.42 which was 33 secs off my personal best. For races like this I always get gut problems from nerves and stress something that didn’t change today. However mid heavy marathon training happy with the time although secretly would have loved quicker.